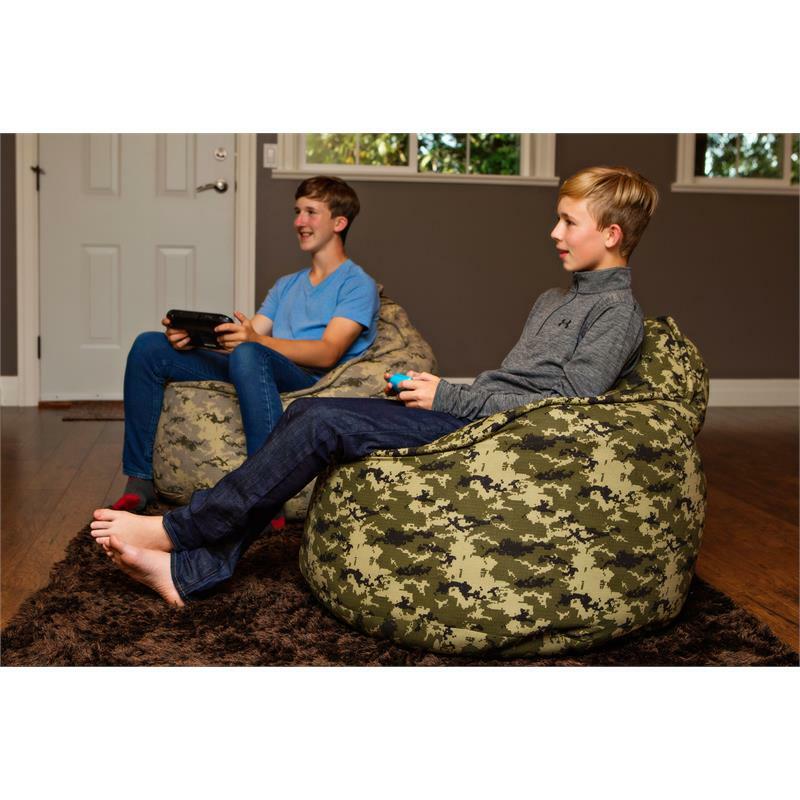 This structured bean bag chair is a must have! Just the perfect size at 35" x 35" x 30". Easily wipe down this fabric with a damp cloth. Each bean bag is filled to perfection with lightweight foam beads. The filling is magic as it allows the bean bag to mold to your body. All of our Bean Bag Chairs come with the innovative safety zipper pull which is inaccessible to small children as well as an inside liner for your chair for extra durability. All of our fabrics we use are top of the line! This Pod is made from Cotton/Spandex. Contemporary and stylish designs. Quality manufacturing. Multiple colors and sizes. Top-of-the-line Fabric. Product double stitched for maximum strength.